We had a Note 4 leak last week that listed the phablet coming in two versions - one with Samsung's 64-bit Exynos 5433 processor, which is said to be the European version of the handset, and one for the North American/Asian markets, donning a Snapdragon 805 chipset. The two models appeared in the AnTuTu benchmark database, listed with Quad HD displays, 3 GB of RAM, and 16 MP cameras, but the processor benchmarks themselves were missing. For comparison, the current flagship crop scores in the realm of 25 000 at the most with the stock firmware, so on paper we will be receiving a 20% boost from the new processor in Note 4, which should be needed to power that pixel-perfect QHD display. Moreover, the new ARM Mali-T706 graphics processor also scored higher than the Adreno 420 GPU in Snapdragon 805, which is pretty impressive. Our only concern now is battery life, as the LG G3 tests showed that the high-density panel dooms it to just average endurance. If the Note 4 comes with OIS and upgrades of the rest of the specs from the GS5, then one will be mine as soon as it is available on VZW. Only unknown at this point is what kind of heat signature it will have. I prefer 4GB ram, 32GB base model. Tegra K1 appears faster than the Exynos due to the K1 device being tested with a 1920x1080 display whereas the Exynos 5433 was tested on a device running a 2560x1440 resolution display. The 4+4 cluster design is a weak point of the current ARM architecture for low power environments. I hope for their sake they come up with something that isn't so lame in the near future. Samsung stopped using cluster migration with the Exynos 5422 http://www.samsung.com/global/business/semiconductor/minisite/Exynos/products5octa_5422.html "The new Exynos 5 Octa (5422) implements an HMP solution to allow for any combination of the eight cores to provide optimum performance under any given workload with improved energy efficiency and lower power consumption"
Read before you comment. Number of cores have nothing to do with Cluster migration or GTS. Exynos 5422 already have HMP enabled. It not about number of cores, you can have GTS in any combination of cores. Nobody ever said you need 6 cores to have GTS. And stop using that 'true' hexa octa BS. Whoever thinks that HMP is used to use all cores at same time are ignorant of processor architecture. Go read some Linaro documents before you comment. I said Exynos 5260 is a "true" hexa-core is something like people say Snapdragon S800 is a "true" quad-core. Heck, both of them can run on 1 core only with power-gating or CPU hot-plugging. So nothing wrong with it. 5422 is HMP enable, but it does not mean everything following it is HMP enable as well. There is nothing like 'true' Hexa or Octa. It's only ignorant journalists who post such BS. Nobody ever read a single sentence of processor tech and will spread some useless keywords out of their a**. What makes you assume that 5433 will *NOT* be HMP enabled? You think a upgraded SOC will be inferior! Good logic. BTW, you are totally wrong when you mention Octa means Cluster migration. You need to study a lot before commenting like that. You come out as any other typical poster here who have just heard the term HMP and throw around terms like Cluster Migration without even bothering to check how actually GTS helps with DVFS. What people say in none of my concern, most of them don't know half the stuff they are talking about. You mean Note 3 Neo? 5260 runs on 720p, so it has less pixels to worry about. Put it with a 1080p screen then it will fall miserably. Kitkat is designed to run 512 RAM. My Moto G with 1GM RAM is also rockin' Kitkat for several months now. Yes but hung2900 is right. It was not due to the processor but the Ram. 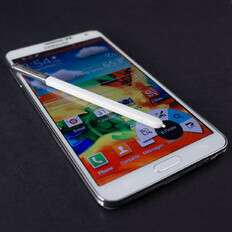 Note 2 received it. Samsung themselves told that the update is was ready but they couldn't:t give as it didn't work well with 1 GB ram. The fuzz of KitKat optimized for 512 MB is just rubbish. If that's case then I have seen gingerbread, ICS, jellybean all running on 256MB ram as well. The problem is the heavy touchWiz!! Not kitkat..
Broad statement that's actually inaccurate. When Samsung said "it didn't work well" w/ 1Gb RAM, that "it" being TouchWiz not the underlying AOSP base itself. Loads of older phone models w/ 512Mb RAM are running 4.4 right now on regularly updated ROM ports, I would think those devs aren't a bunch of dim witted masochists to be able to volunteer their work for free pain. " If that's case then I have seen gingerbread, ICS, jellybean all running on 256MB ram as well." ~ I'd like to see that as well except that Kitkat alone has the official Sundar Pichai lower RAM assurance from the get go, the former revisions never did that's the key thing.